When you think about the most commonly used material on planet earth – you might immediately think about plastic, metal or wood. However, in actuality – nothing can be further from the truth. 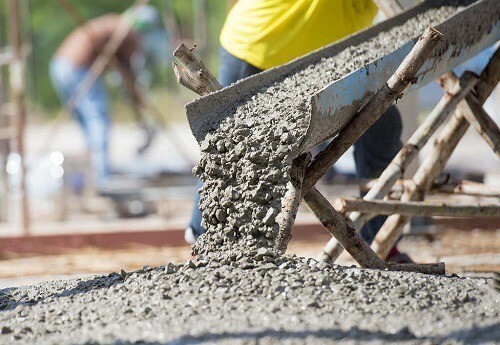 Concrete has become the most famous artificial ingredients throughout the world. With a slew of applications and functions, everywhere you look – there is concrete. The pavement, houses, bridges, etc. are all made of concrete. After all, the material had an instrumental role in developing earlier civilizations thousands of years ago. 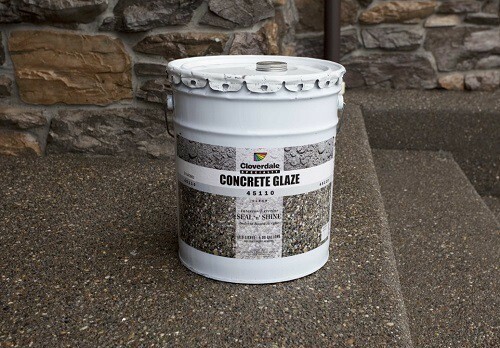 What Is A Concrete Sealer And Should You Use It? When we think about concrete, the most common things that come to mind are swimming pools, structural foundations, pavements, etc. However, what a majority of people do not know is the material's epic origins or the fact that it has become a $100 B industry in the US. In fact, and you will be shocked to hear this, concrete is the most utilized artificial resource coming in second after water. If you measure it a ton for ton – human beings use a heck load of concrete compared to plastic, rubber, aluminum, metal, and steel combined! When you talk about the ingredients go into making concrete – it vastly differs from materials like aluminum, plastic or steel. You have to understand that concrete can never refer to a single material. There are plenty of separate ingredients that go into making the essential component. The most common ingredients used are a combination of rocks and gravel with a mix of powerful adhesives. In simpler words – concrete is nothing but a mix of rubble along with an industrial adhesive like cement and some water. Together, these ingredients give birth to a rocky paste you can quickly and easily mold into anything you like. Some people also refer to concrete as wet stone. Everybody takes concrete for granted – but if you go back several thousands of years – the material would be worshipped folks carving small houses or structured out of nothing but giant slabs of rock. Plus, there is also archeological evidence pointing towards the fact that ancient civilizations did manage to create concrete. However, it was the Roman Empire that claimed mastery over building concrete out of the rubble. And you can bet your bottom dollar that the Romans learned how to do that by observing volcanoes. If you have been using concrete for DIY activities and project – there are few foundational characteristics that you may be aware of about the material. When it comes to compression, concrete is durable – but it is weak in tension. So, a crack in the material implies the pavement could not bear the load tension. The steel rebar inside the cement coating does not rust or damage thanks to the alkalinity of concrete. However, throw chloride ions into the equation and the material will begin to wear and tear. De-icing salt contains chloride ions that start with disintegrating the passive layer of the concrete – which is the alkalinity wrapped around the steel rebar. The steel bar starts to rust, weakening the overall foundation of the concrete, internally cracking. 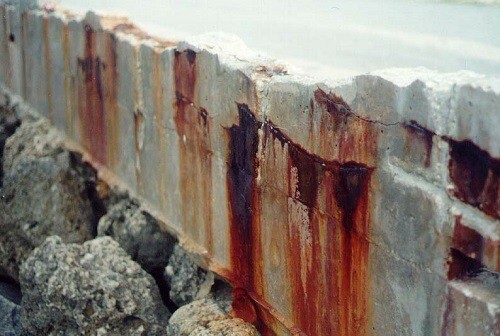 Moreover, because rust is more voluminous compared to steel, the tension quickly expands against the concrete pressing hard against it and eventually cracking outwards. Chloride ions slip right between the pore structures of the concrete, destroying the material from the inside out. There are plenty of tiny gaps in concrete that allow water to flow inside the material and freeze. After that happens, the frozen water scrapes of little flakes from the top of the surface. But when you add de-icing salt into the equation, the damage becomes paramount. A process that is known as scaling, it typically damages concrete during the early months of winter. The onslaught continues till the next season, which is when you start to see the cracks getting larger. If left unchecked or unrepaired, the disintegration will lead to severe damage. The best way to prevent that from happening is to incorporate air entrainment. That is another phenomenon that occurs because of the reactive aggregate inside the concrete. What that does is form a gooey like substance, enveloping the aggregate particle. If and when water escapes through the cracks and comes in contact with that gel, it quickly expands and disintegrates the concrete from the inside out. However, there are several lithium-based substances you can use to prevent this from happening. When placed, a lot of the concrete still has moisture left after the hydration reaction. So as evaporation sets in, the overall material shrinks approximately 0.15” per 20-ft. But that also depends on how much moisture the concrete had before placement. It is a probability that any given slab of concrete will not crack if you don't set it and let the moisture dry out as the plate shrank. But that doesn't happen when you place the concrete on the ground. Subgrade dragging leads to rapid shrinkage and cracks formation. That mainly happens if the concrete laid isn't allowed to dry and strengthened adequately. There will be a lot of cracks showing, right up on the surface of the material. The process is also called "crazing," the cracks aren't big and are narrow. You can quickly service the damage provided it is on time. 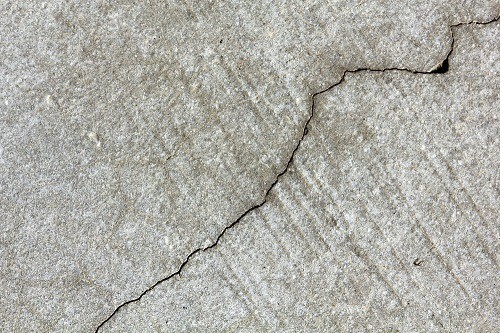 The best way of preventing plastic cracks on the concrete surface is to incorporate a process called curing. The methodology consists of fiber reinforcement. You will see blister formation on freshly laid concrete if it is prematurely dried and finished. Hastening the entire process leads to more moisture build-up, also sealing in a lot of air. Air entrainment and massive finishing machine can lead to concrete delamination. The steel reinforcement inside a concrete beam or wall is not of any use unless the concrete starts to crack. The cracks can minor and invisible to the naked eye. However, the steel reinforcement will prove to be useless and will not start to pull the material keeping everything together until the concrete is damaged. In the absence of steel or any other material to hold the concrete together or if the quality of steel is subpar or if the loads exerted are immensely heavy during construction, the column or beam will start to form broader, more defined cracks. And that is a sign there is immense structural damage and needs to be serviced immediately. The conditions when setting your concrete mixture are a vital factor to consider. That is especially a truism when you talk about installing the material. Remember that the overall temperature, as well as the durability of concrete, will either positively or adversely affect its structural integrity. If you place the concrete at standard temperatures, it takes an entire day (24-hours) for the material to harness a 500-psi compressive strength. But if you install the concrete at considerably low temperatures – or if the material froze in the initial hours after placement, you will have deprived the mixture to harness adequate compressive strength. The mix you make is also an integral part of the total durability and strength of concrete. If your subcontractor failed to choose an optimum material mix – for let’s say, the extreme weather in Chicago, there is no question the mixture will quickly disintegrate. There are a lot of instances where people who pursue a DIY project fail to buy the appropriate material mixture. That is why you should get a certified professional to get the job done right. People in the colder parts of the US understand how extreme temperatures can damage their concrete driveways, the pavement, and other miscellaneous properties. Freezing weather brings along ice, cold showers and snow. After the water seeps into the concrete slab via tiny cracks, it freezes in the joints. After that happens, the moisture begins to expand at a rapid pace – by approximately 9%. Now what that does is exert a tremendous amount of pressure on the material leading to crack formation and rupture. When the ice repeatedly sets into the concrete and melts, and the de-icing salt that your tires bring can lead to rapid concrete disintegration and damage. Nothing is more critical to ensure the concrete you've installed is adequately compacted. If the base adequately prepared for the material's placement – the washout from all the soil as well as the ground underneath will lead to quick damage and disintegration. Plus, it is vital that you re-route the flow of your drainage away from concrete structures like your driveway or the sidewalk. Excess water in the form of moisture can lead the material to crack and damage. 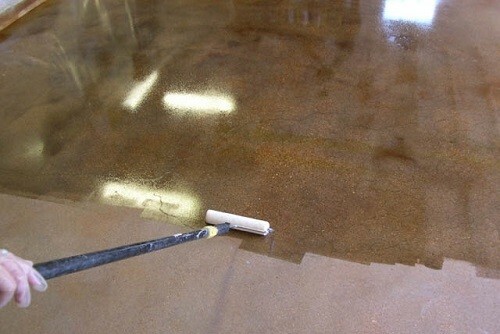 Concrete sealers are chemical substances you can use to add a layer of permanent protection on concrete floors and other miscellaneous structures. Sealing the concrete will help eliminate any possibilities of moisture damage – and in turn, help add more durability and strength to the material. They also help keep the concrete visually appealing, preserving the original color and glimmer. There are plenty of things these sealers help protect the material from weather-related damage, various stains, cracks and de-icing salts. Concrete sealers actively block the tiny pores on the material’s surface to help drastically lower water absorption, keep the salts from penetrating, and become an impermeable protective coating. And yes, you can use the sealers yourself- you don't need a professional for that – it is a DIY process. However, what is vital is that you apply the chemicals precisely as per the guidelines stated in the manufacturer's book. Moreover, it is also essential to select the right tools for the job – to get the best coverage and thickness rate and for enhanced performance. The two most widely used ways of applying concrete sealers are via sprayers or rollers – however, that also depends on whether or not the chemicals are solvent or water soluble. After you are ready for rolling or spraying the sealers – it is critical to go for maximum ground coverage, the average rate of coverage per gallon is 250-300 square feet. There is a slew of incredible reasons why you shouldn't put a blind eye to use concrete sealers. That is if you're planning to place a fresh layer of the material or repairing your driveway or the sidewalk. One of the best reasons you should use concrete-sealers is the fact they help avoid penetration mold. Because of the porous nature of the material, it can't do anything about the excess moisture build-up inside. And that mainly happens when there is a lot of water slipping down the tiny cracks in the concrete. Now, if all this moisture does not dry soon – mold will take over. Mildew and mold can quickly grow from the inside out – and that is probably why the color on your driveway has changed to a lighter or darker shade of green. That is practically all mold and mildew down there – and while you’ll have to break the concrete and start anew, it will help if you spray or roll sealers on the material. Concrete sealers permanently block the tiny pores and cracks in the cement, keeping all the moisture from getting inside. When the exterior portion of the concrete is continuously exposed to rain, heat, and snow all year round – there are going to be several problems. You will begin to see defined cracks in the concrete; there will be more scaling – the structural integrity of the entire structure will weaken. Concrete sealers can help become a permanent solution to this complication. The chemicals are weatherproof, which means no amount of water or moisture will penetrate the material. Plus, the sealers are brilliant for guarding against de-icing salt. The average life of a concrete driveway is approximately 28 to 33 years. However, if the material suffers constant damage, cracking and discoloration – you may find yourself replacing it sooner then you may have imagined. According to several authorities on concrete, it has been identified that water penetration and moisture buildup are two of the most common causes of early material damage. By adding a fresh coat of concrete sealers; you are fundamentally and permanently making your driveway waterproof. And that means your driveway will last more than 30 years. 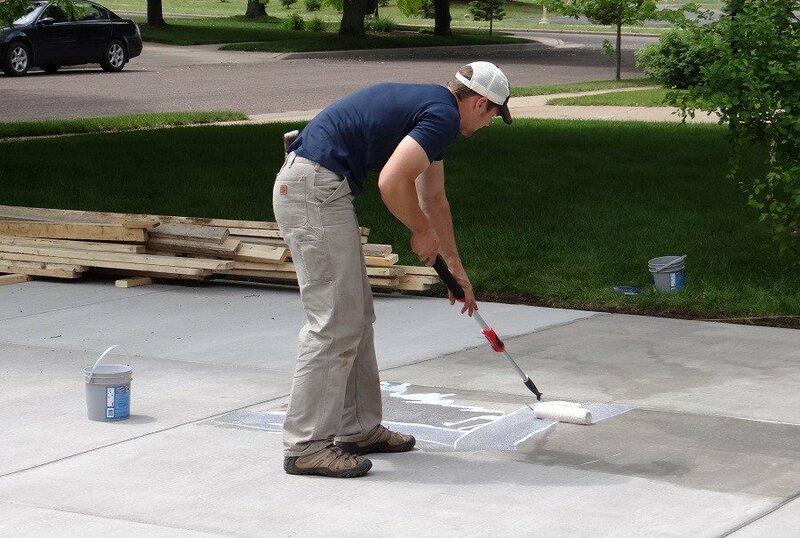 Another vital reason you should apply concrete sealers on your driveways, sidewalk or other structures is that the chemicals will make everything virtually stain-proof and oil spill-free. Moreover, the sealers will also help keep the surface guarded against the powerful ultraviolet rays of the sun – which can lead to excess discoloration as well. When exposed to the unforgiving elements – concrete can easily be discolored. That will always make your driveway and sidewalk look old and damaged. Because concrete sealants don't let water, moisture, sunlight or mildew inside – permanently sealing the exterior surface – you will never have to worry about discoloration every again! It doesn’t matter if you have a decorative concrete driveway or patio – what is vital is the fact you have to maintain everything. You have to keep the concrete spotless, ensure it always shines as if were new and kept it durable. That can only happen if you use chemical sealers. 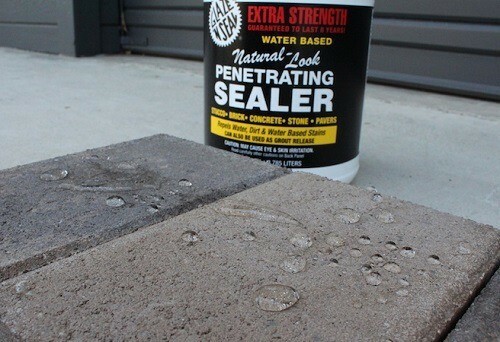 These sealers come in two forms – solvents and water-based. Acrylics are quick and straightforward to apply. Moreover, there are also the most budget-friendly. These products are ultraviolet resistant and do not let the concrete get a yellowish shade in the long-term. Moreover, acrylic sealing performs well against de-icing salt, moisture, and chemical or oil absorption. The product does not let anything slip through the cracks. These products are easy to apply; acrylics are a bit thinner than their counterparts – polyurethanes or stronger sealers like epoxies. But the problem with acrylics is that they don’t last too long. And that means you will need to apply the chemicals on a frequent basis – more like once a couple of months. You can buy them in two forms solvent and water-based. Compared to acrylic sealers, polyurethanes have a thicker coat. They offer excellent protection against abrasives and different chemicals. However, you have to let the sealer completely dry before splashing water everywhere. Penetrating sealers have an advanced formula – they quickly react to the capillaries of your driveway or patio concrete – on a chemical level. That helps permanently guard your concrete against de-icing salt and chemicals as well as moisture penetration. Another excellent reason why you must opt for penetrating sealers is the fact they offer invisible protection – which means zero long-term discoloration and virtually no chance of surface texture appearance. 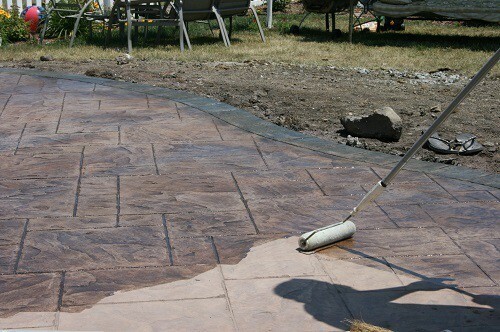 Moreover, these sealers also enhance the durability of sidewalk, patio and driveway concrete. Elements like freezing temperatures or high heat can quickly disintegrate concrete – penetrating sealers will not let that happen. There are two methodologies when it comes to eliminating concrete sealers. You can either use mechanical tools such as chippers and grinders – to sort of sand or blast the chemicals off of the surface. Or you can use chemicals to the trick. De-sealers are easier to use and more conveniently accessible. Plus, mechanical tools often damage the surface. Chemicals aren't that abrasive and do the trick faster. Moreover, there isn't any noise involved. There are three types of chemicals you can opt for – biochemicals, caustic and solvents. They are readily available in a slew of home improvement stores, big-box outlets, paint stores, etc. So there you go – everything you need to know about concrete sealers and how they can beautifully help keep your driveway and patio fresh.